In order for all students to graduate prepared to achieve a lifetime of success, families need to be an important part of the school team. 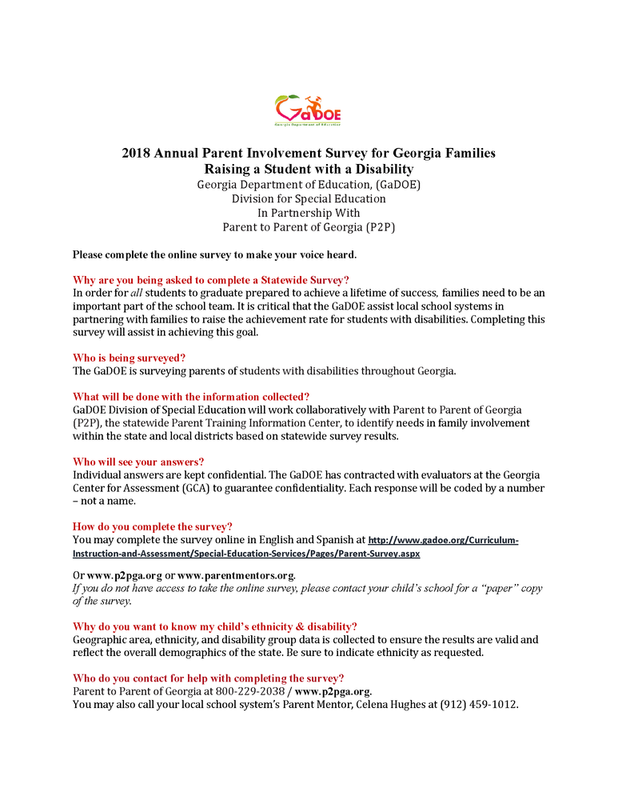 It is critical that the GADOE assist local school systems in partnering with families to raise the achievement rate for students with disabilities. Completing this survey will assist in achieving this goal. Individual answers are kept confidential. The GADOE has contracted with evaluators at the Georgia Center for Assessment (GCA) to guarantee confidentiality.